What Makes 15 lbs of Laundry? It’s that time again—your laundry hamper is full and you’re out of clean socks. If you don’t have time to do your own laundry, you can turn to a professional to take care of your clothes. Some cleaners have a 15 lb minimum policy, though, so you’ll need to make sure your laundry meets that expectation. Not sure what 15 lbs of laundry looks like? 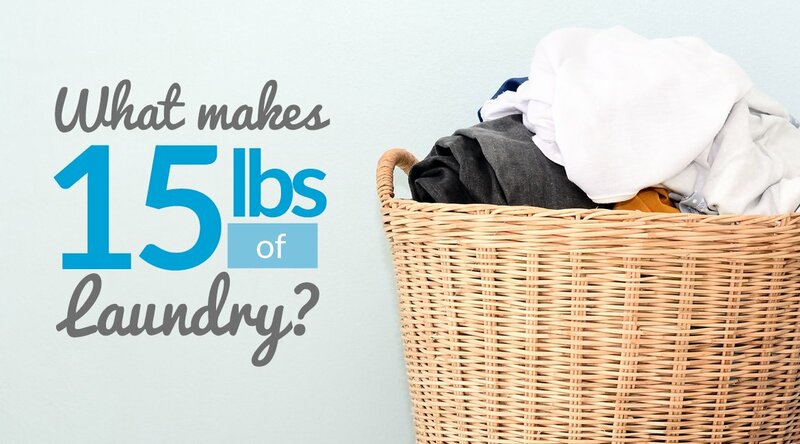 Here’s how you can determine your laundry’s weight and take advantage of a full load. Before you have your clothing laundered, you’ll want to check that you have enough for the minimum 15 lb weight requirement. A household washing machine usually holds 7 or 8 lbs of laundry, but professional machines can handle larger loads. 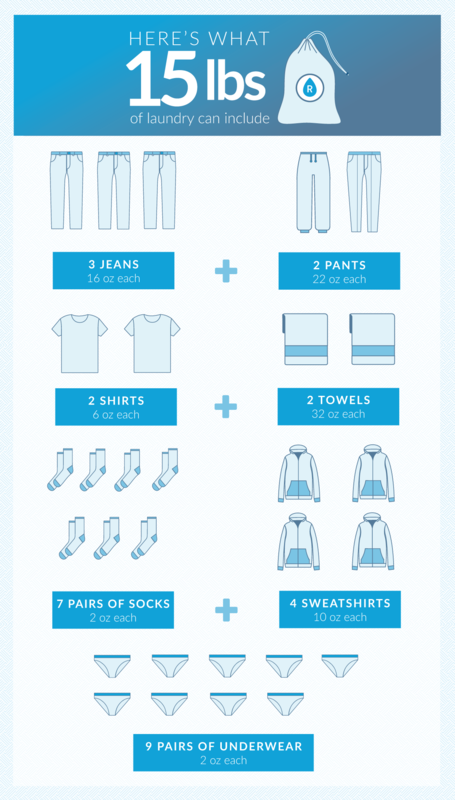 Depending on your wardrobe, your 15 lbs of laundry might include more or fewer items. If you find counting articles of clothing too tedious, you can weigh your laundry following these three simple steps. Weigh yourself on a bathroom scale holding your laundry. Weigh yourself on the same scale without your laundry. Subtract the second weight from the first, and the total will be the weight of your laundry. Alternatively, you can place your clothing in a laundry basket and weigh that on your scale. Remember to measure and subtract the weight of the empty basket afterwards.